In 1922, James Joyce’s Ulysses demonstrated the futility of telling the whole story of even something as mundane as a day in the life of two ordinary people. Every person is a universe unto themselves with their myriad unique fears, hopes and dreams; to capture every moment of a single life, much less the lives of countless people, and put it into words is an impossible and unrewarding task. Even history is not merely recounted—contrary to popular belief—but is instead pieced together by human beings for education and entertainment, meaning that one person’s version of history will inevitably differ from every other one. Historians, like storytellers, are organizers more than anything else, deciding what details are pertinent: who is to be remembered and who is to be forgotten, how much time should be spent with subject x instead of subject y and, most importantly, what does this history mean for our future? All of this is to say that attempting to the chart the history of an entire medium and put it into words that all readers can comprehend is an uphill battle. 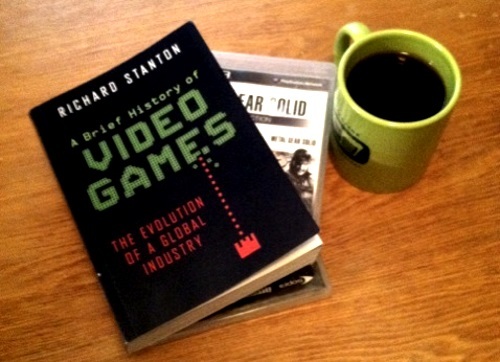 Journalist Richard Stanton tries to scale that hill with A Brief History of Video Games and is more or less successful, creating a work that accomplishes what it’s intended to but not without some stumbling along the way. A Brief History of Video Games lives up to its name in more ways than one, some of them good, some of them disappointing. 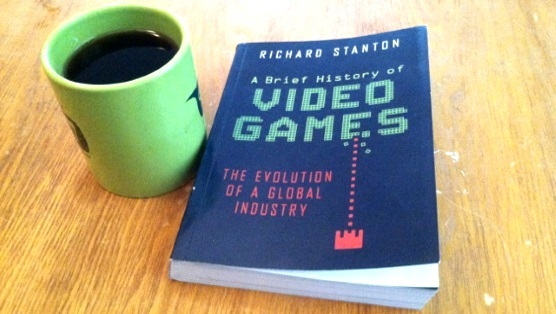 The book itself is a small tome, clearly intended to occupy the middle ground between textbook and page-turner, chronologically organized by videogame-related topics, starting with the military tech in the 1940s that would form the foundation for games all the way to Fall 2014 with Stanton’s musings on the future of games closing out the book. He covers a lot of ground, choosing to focus both on important technological developments (Jerry Lawson’s creation of game cartridges) and games that evolved the medium in some way, like the various incarnations of Will Crowther’s genre-creating Adventure or Shenmue, often regarded as being years ahead of its time by critics. The writing here is for a general audience, with time taken to introduce each subject and succinctly explain why it’s so important in the context of gaming history. However, ‘succinctly’ turns out to be a double-edged sword. The Metal Gear Solid series is obsessed with talking at and to its players, and the fourth wall is something of an obsession for Kojima. This was the first time he stabbed at it. Metal Gear did well enough to be ported to several platforms and gain a quick Kojima-less sequel, but after this the series disappeared. Nevertheless the original has embryonic ideas that make Metal Gear, if not a classic, a prototype for one. It would take another eleven years for technology to catch up with Kojima’s vision and make it solid. The transition from the fourth wall discussion to one about Metal Gear’s evolution is non-existent, so it’s a bit jarring, especially when most of the book does a good job avoiding this sort of awkwardness. 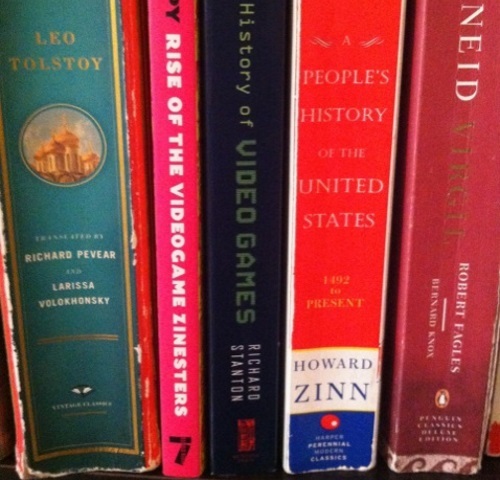 A Brief History of Video Games works best as a primer, encouraging you to jot down the names of developers, games, and consoles that pique your interest so that you can do your own research on them later. This is not a flaw but instead merely an unavoidable consequence of the compromise that Stanton makes by sacrificing depth for breadth, with a balancing act that works thanks to the author’s ability to pack terse prose with just enough information and personality to arouse, if not sate a reader’s curiosity. As someone with a decent amount of knowledge when it comes to the history of games, I found the majority of the book to be enlightening, especially the front half with Stanton detailing the birth and infancy of game development. Questionable formatting aside, the book is both an enjoyable and useful text that gives the reader a broad overview of games over the past 70 years. What most people would consider the whole story is not here but again, the whole story is not a thing that exists, it is beyond effort and quite frankly comprehension. Perhaps in pursuit of that illusion, Stanton and A Brief History of Video Games impart us with a good deal of knowledge that we may not have known yesterday—an impressive, often underrated feat. Also, the book smells like a new car every time you open it so that’s nice.